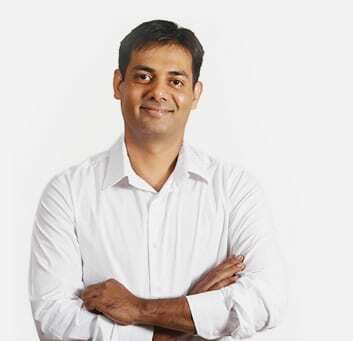 In an interview with Analytics India Magazine, Gaurav Vohra of Jigsaw Academy talks about the current state of Analytics education in India. [dropcap style=”1″ size=”2″]AIM[/dropcap]Analytics India Magazine: What role do you think analytics will play at the work place in the coming years? [dropcap style=”1″ size=”2″]GV[/dropcap]Gaurav Vohra: Analytics is going to continue to grow at a staggering pace for the next 10 years. There is just so much data around us. It can’t be helped. It’s the nature of the human mind to explore the unknown (and of course profit from it). From land to sea to space, we have explored it all. Now data offers us a new challenge and we are grabbing it with both hands. Businesses are generating, storing and analysing data like never before. They are constantly finding newer and newer ways to make money from information. Data has revolutionized and transformed businesses. And it will continue to do so in the coming years. AIM: What kind of training is required for analytics? GV: Analytics requires a combination of logic, statistics and programming. Analytics training programs need to focus on these areas. Exposure to real life situations and data sets via business case studies is essential. Hands-on experience on analytic tools is required as well. AIM: Who should think about getting into this field? AIM: What is your projection of the analytics market in India? GV: India is the global hub for analytics and we will continue to see strong growth in the market. It is estimated that there will be a shortfall of over 100,000 analysts in India in the next couple of years. From what I have seen in the industry, analytics is going to be what IT was 20 years ago. Except this time the demand will be fuelled form both the domestic as well as the international market. AIM: What are your plans for Jigsaw Academy? GV: We have received fabulous response to our current courses. We will continue to update these as the industry grows. Additionally, we are planning to introduce a number of video-based courses on specialized topics in analytics. The first such course on Fraud analytics will be launched in September of 2012. We are also seeing strong demand from countries like Australia, Brazil and Singapore. We will target these markets more aggressively now. Ultimately, we want to build a community of analysts across the globe that can influence the growth of analytics in a positive manner.